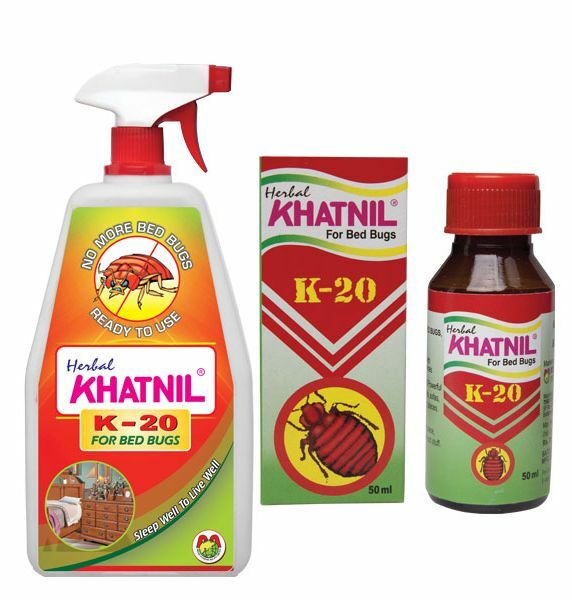 Khatnil K-20 for bed bugs is an insecticide product which claims to be herbal. However, the ingredients of Khatnil are not clear. 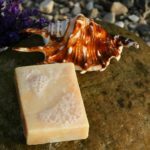 With a base that smells of paraffin or kerosene, it is unclear how the product can be called herbal. Update: The bedbugs did decrease after using Khatnil, but I was doing so many things from vacuuming to hot water washing of all cloth items that it is difficult to say what was killing them. It most certainly could not be applied and left to work. Not even regular applications got rid of the bed bugs completely, and we ended up trashing the mattress and the one that came after it as well. I did win the war against the critters, but it was not easy, and while Khatnil probably helped, it most certainly wasn’t the solution. Bed bugs! 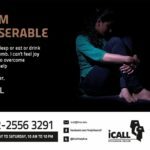 When we returned after a trip with suspect accommodation, we were worried that we may have brought back more lives than we went in with – as in a whole colony of bed bugs. Actually, I suspected much later when I couldn’t sleep and caught the critters red handed or rather red smeared on the sheets. I then put two and two together and remembered the ghastly sleepless nights in the cheap hotel …. and sure enough, the suitcase we had taken there had some in it too. [slideshow] Worried about the safety of my infant son Nisarga, I wanted to find an organic solution for bed bugs that was most appropriate and least toxic. The local shop set me up with a bottle of Khatnil K-20 and I happily looked forward to a bedbug free home. Alas, things did not unfold so. True to form, before using anything I don’t know much about, I decided to look up the active ingredients in the bottle to get an idea of their safety. Imagine my surprise when all my hunting didn’t find any place on or in the pack where it mentioned what was in the bottle beyond “Powerful liquid to curb bed bugs” and “herbal”. Yeah, that’s how everyone describes their herbal bedbug killer product – but not its content. I searched online. I couldn’t find the ingredients anywhere. So how does one check that the active ingredients in the herbal insecticide for bed bugs are actually safe? What if someone has an allergy to something in it? What in the world does a doctor combat in case of accidental poisoning? So I went to the shop and argued my tongue off. No help. 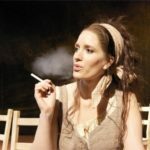 They wouldn’t take an opened bottle back and offered me another ‘herbal’ solution, which they say is pretty much exactly the same as Khatnil, but mentions the ingredients – petroleum derivatives, coaltar… were some of the words that I had to investigate – herbal? The only herbal ingredient in there seemed to be eucalyptus oil. This seemed worrisome. Taking a risk, I used it sparingly in areas I was dead certain no one would touch and still worried about fumes. It smells like turpentine. Last I know turpentine isn’t a herbal product. For the rest, I just shook eucalyptus oil and water together and sprayed. It seems to be working, but then I physically slaughtered most of the critters and it wasn’t a bad infestation. We have no trouble these days, though I’m going to keep a sharp eye on things for quite some time. Is there anyone at all who cares about such things? what are the side effects of the khatnil ? is it killer of human being if it ingested by accident ? I don’t know, but given the contents, I can’t imagine it being anything good for humans to ingest. My bedroom all furniture was infested with bedbugs for almost a year. I tried every thing from calling pestcontrol 4 times in a year , used at least 5 big khatnil bottles, searched and killed many of them, but they would not go. Heat washed all the linen every 2 days also. Infact many of my neighbours also complained of the same problem. They crawl in during the night time . so we cut all the clothes lines in the balcony outside. On suggestion from my maid I bought kerosene and sprayed it in the bed box thoroughly and all the wooden furniture regularly every alternate day. This worked . Now for the past 3 months I see them sometimes sparingly. I have noticed that they are always in pairs. But they have left a mark on my mind. I look at anything small and oval suspiciously. I have done a lot of study on the internet about them. The big ones hibernate for around 3 months. So there never is any guarantee that they have left your house. Have to be vigilant all the time. this is best for bedbug. bedbug die immediately (max 10 second) after spreing. best result than chemical and gas-chemical. Most of these herbal/ organic products these days are just a scam. But, gullible people don’t understand that. I hv read almost all comments. I would like to share my exp. with u all. IT was in the year of 2006…..
suddenly one day we found one bedbug on my study table, I showed it to mom, she was so embarrassed n horrified n then v started the endless treatment to remove this creepy creature from our house. we used AMALTAS stick….NO LUCK……. Then one of colleague suggested to use Local lakshman rekha chalk…..n u ppl won’t it worked. I start the same treatment as I hv already preety sure that I hv care in the form of lakshman rekha chalk………n….u ppl not gona beleive again this time it will not work even 1%. I found that there 3 kinds of BedBugs in my house 2 of them will die with Khatnil but 1 breed is so hard that they r not ready to die like this only. I am still using hit n trial treatment. I don’t believe in pest control they only cheat u because they don’t know what kind of Bedbugs r in ur house n there immune tolerance. So I’m going to test this as well n let u if I find some LUCK…..
Could you please tell me how you have used Diesel to get rid of bedbugs. Mohd. Farman sir it’s urgent please convey your experience to me completely because I am also fed up with these uncontrollable bedbugs. I face acute problem of bed bugs. Any one will please advise me what to do. May I use Khatnil with Kerosene. Or simply ask Pest Control agency to do the treatment. I used multi purpose insecticide but no result. I have 3 1/2 year old child in the house and hence worried about using strong insecticide. Khatnil is a complete fraud product .. it doesn’t kills or drives away insects for sure ..but spoils our health for sure. .
Lizards are another menace which I faced. These creepy animals feed on insects and worms that crawl out of bathrooms, toilets and kitchen sinks. I found an eco-friendly way to shoo these reptiles away. At night before going to bed I wash the kitchen platform and the gas stove with very hot water. And I pour terribly hot water down the sink and in bath room and toilet drainage outlets. Within a couple of days I started seeing the results. The lizard’s food supply of insects got cut off and hence they stopped visiting my kitchen platform and sink. However they kept frequenting my dustbin. To prevent that I throw any ‘boiled’ left overs, such as tea powder from the kettle or spoiled milk if any (I don’t turn it into Shrikhand because mostly milk is adulterated) into toilet. Only the dry raw peels from fruits and vegetable or soiled papers go into the dust bin. Egg peels too will be washed in water, before they go into the dustbin! I also leave all windows, doors and cupboard doors wide open during the day, exposed to sunlight and air. That also causes lizards to go away. They hate light! Interesting and useful. Thank you. If you have a wooden double bed, then call a carpenter and just sell it off and buy an iron bed (those old hospital style olive green cots). Kerosene instantly kills bed bugs. It is by-far the best solution. A tip: Stop sending clothes to the laundry for ironing. Those places are crawling with all kinds of bugs and bacteria. Sunlight is a super killer! i want to get this Khatnil herbal i;m in mysore can u tel me where can i get this one ?? Medical stores will have Khatnil. No idea on Mysore. At least shops in Mumbai have it everywhere. Insecticide chalk (cockroach chalk) is also a good alternative. Khatnil is a organic pesticide hence the term Herbal is used by the manufacturer, many companies use inorganic pesticides like cypermethrin, allethrin, etc. as active ingredients. there are many organic pest repelling substances found in plant kingdom eg., Citronella, tobacco, eucalyptus oil, etc. Hope this clears you query my friend. Even I do care about what pesticides contain. I have filled up the form on the manufacturer’s webpage asking for the ingredient. Let’s see if they reply. i actually found this while trying to figure out what bugnil / khatnil contain…seems to be quite a mystery..then again… its not like the government really gives a damn about what goes into what we eat…what we use to kill bugs with is a far cry i suppose. It was used extensively in our house when I was a kid..and I’m really curious to find out the ingredients so I know what side effects to expect in later years. I’m pretty sure there’s more than eucalyptus oil in there – probably something petroleum related – the stuff caught fire at our place once and it was quite a challenge to put it out! Maybe there’s a legal way to obtain this information ? I also wonder if anyone else cares about this – I suppose theres some ideas on that in your google webmaster statistics for this post. thanks for posting – the eucalyptus thing was something of direction I suppose.